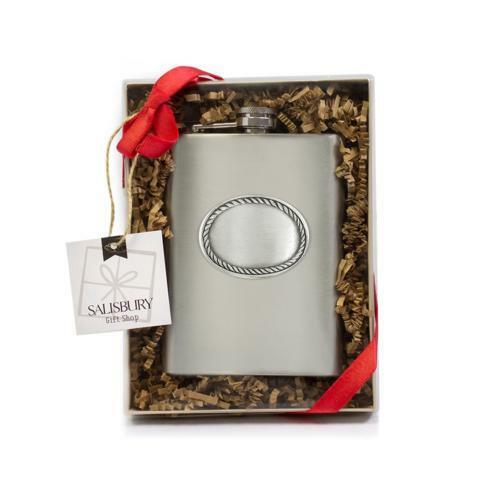 Features: We love a good Derby party and no Derby party is complete without mint juleps! 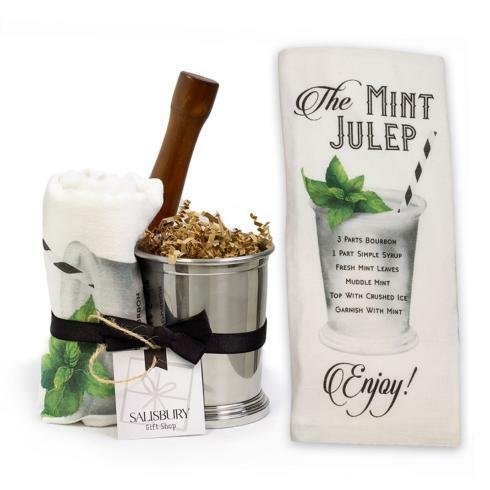 Whether you're throwing the party or attending it, you'll need this gift set on-hand to make the perfect mint juleps with ease. A 12 oz stainless steel julep cup is paired with a wooden muddler, and a towel with a charming mint julep recipe design to guide you through the julep-making process. All bundled, tagged, and tied with a bow, it's ready for gifting, so grab one for the host and hostess or one for all your guests!